I agree that d cam is not up to d mark. But at this price range, it's a gr8 phone. Other brands would cost u at least Rs. 7500.
salim, 13 Mar 2014plz tell me can i buy this mobile? plz ans me.No b'coz its camera is very bad and battery also. Please this phone not band. Siddhartha, 11 Mar 2014I am using this phone from last 3 months and it's really awesome....just the camera quality is... morewhat is standby and taketime of this phone? 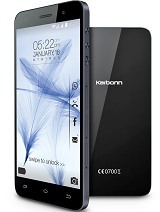 karbonn needs to improve battery backup & camera. in most of the karbbon mobiles both very bad. I am using A 19. excellent features but these two are worst. plz tell me can i buy this mobile? plz ans me. I don't know how the mobile is when buying through online but when my hands on it. it just awesome. 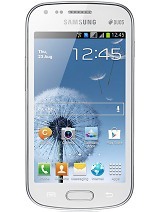 under 5k its specifications are more than enough. superb display & play games without any lag. Using this handset for last 3 months. Its value for whatever you have paid..! Less than INR 5k.. what you expect..! It doesnt have magnetic field sensor, it can not run the compass, but do we really need it? I access my office mails as well personal mails effectively.